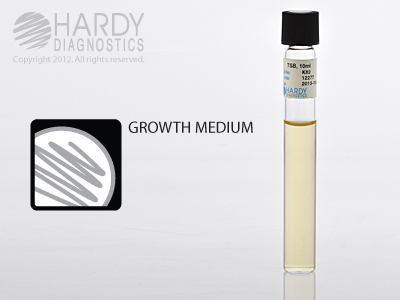 (Tryptic Soy Broth) For sterility testing and cultivation of microorganisms. Also known as Soybean-Casein Digest Broth, USP. The ReadyRack™ is a plastic rack designed for cleanroom use and can be rinsed with alcohol. It is a convenient way to bring media into a controlled area while avoiding outside contamination. 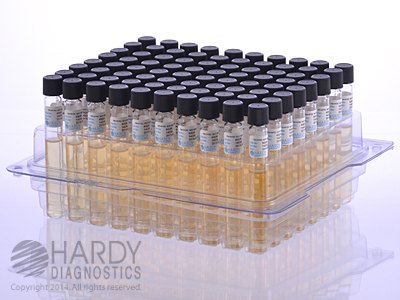 Simply remove ReadyRack™ from box outside of cleanroom. Take into cleanroom and remove plastic bag. 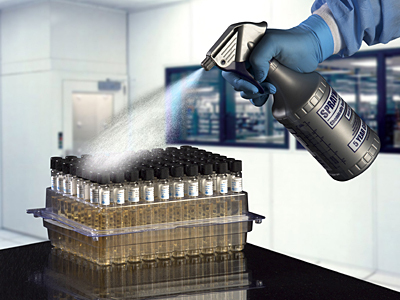 Spray down entire ReadyRack™ with isopropyl alcohol, and allow to dry.